The soprano and Echo Klassik award winner Nuria Rial draws on her new CD a complex portrait of a woman who was more than Johann Sebastian Bach’s second wife – Anna Magdalena Bach was a virtuoso singer and sought-after soloist of her time. In addition to works of the great Johann Sebastian Bach, which he demonstrably composed for his wife, this CD contains further compositions by Bach, which was probably written for Anna Magdalena or derived from her musical environment. Among them are famous arias such as “sheep can safely graze” from the hunting cantata “What I like” BWV 208, “Slumber on, you dull eyes” from the well-known cantata “I have enough” BWV 82 and various arias and recitatives from the “Köthener Funeral Music “BWV 244a. Nuria Rial will be accompanied by the chamber orchestra basel under Julia Schröder who round off the program with the Violin Concerto BWV 1056 in G Minor and the Double Concerto for Violin and Oboe BWV 1060 in C Minor. 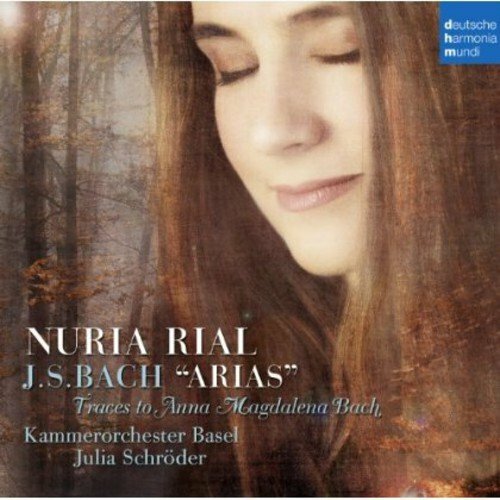 “Bach’s arias about death, pain and sadness are sung by Nuria Rial with a knowing warmth that afterwards lingers in the listener for a long time.” There is no shrill sound, nowhere, only highly mobile lightness, even in the most difficult coloratura.